Illustration for a 8 pieces puzzle. 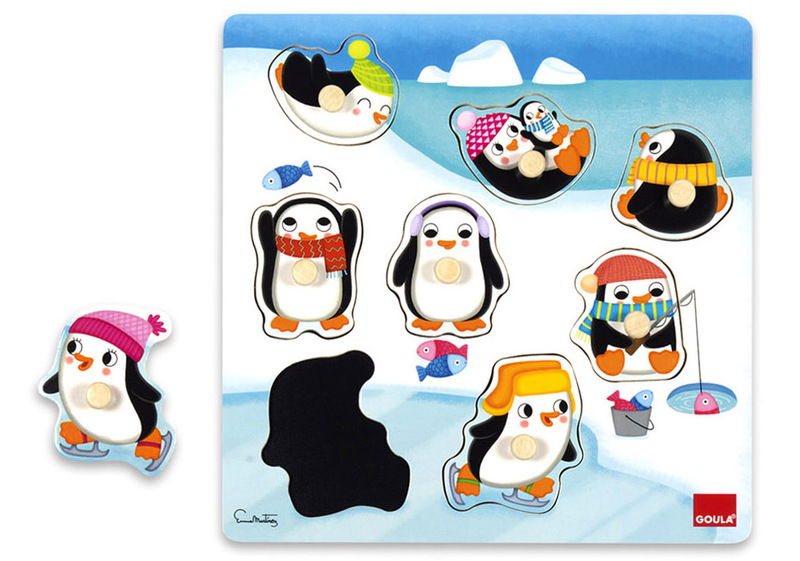 Learn the different directions: up/down, front/back... with this fun wooden penguins puzzle. With single color background to not confuse the child. Associate pieces by their shape.